Before I begin today’s rant, I’d like to make it clear that I am neither related to, friends with, a supporter of, or in any way influenced by the work of Alexander Boris de Pfeffel Johnson. I hold no great love for our cousins from Merseyside, but I certainly don’t think of them as hysterical self-obsessed grief monkeys. As Boris might have said. But today, the red side of Liverpool is once again angry about a perceived injustice. A blight on our fair game, if you will. How can it possibly be fair that, in the second half and with the score stuck at 1-0, Rob Styles chose to award Chelsea a penalty after misinterpreting a Malouda attempt to dummy an SWP pass on to Didier Droga? I’m not sure I have it in me to answer this one. So I do what I often do when words fail me: I turn to the Collected Sayings of England’s vice-captain and hero of the Andorra tie, Steven Gerrard. “These things happen and some decisions you get, some you don’t. I’m sure over the season decisions will even themselves out.” Steven, I couldn’t agree more. Why engage in a fruitless search for justice in this crazy world of ours? Why inflict on yourself a grinding, soul-crushing, spirit-draining quest to find an element of purity and truth in this pantomime that we call the Premiership? Simply sit back, accept the non-free kick that you were awarded against Villa, and lap up the three points. You’d think that, after such a flagrant example of injustice had been cast their way only a matter of days ago, it would be fitting to show a little character in the face of adversity. After all, them’s the breaks, right? So what did we see yesterday, apart from the shameful sight (once again) of John Terry barracking Styles at every available opportunity? (I am, perhaps, alone as a Chelsea fan in roundly condemning this behaviour from our otherwise inspirational captain. 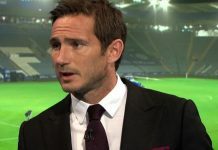 He’s certainly not alone in it, as the hellish Gemini of Carragher and Finnan proved as they surrounded Styles after the penalty call, but it almost seems to be part of the culture at Chelsea, a little like underachievement at Spurs or casual GBH at Blackburn.) We saw a decent enough game, in fact: quite a departure from the bore-fest that usually exemplifies these meetings. In my heart of hearts, I believe that the Chelsea-Liverpool ties of recent years have been elegant illustrations of the inverse square law. How is it possible to have two such talented squads and two such meticulous managers, and yet produce the sort of excitement that has me reaching for a can of Dulux in the vain hope that if I get that kitchen wall painted in the next 40 minutes, I’ll have something decent to watch in the second half. Hats off to Torres, who capped a lovely through ball from his injured for England but not for Liverpool captain by sliding a delightful finish beyond Petr Cech. Hats off to Shaun Wright-Phillips, whose return to the fold of the talented is entrancing all of us, and hats off to Alex, who seems to be the missing link between man and potato. This game settled nothing, but it did feed the Scouse squad’s self-image as the victims of organised injustice. A siege mentality was one of the prime factors in Chelsea’s recent double league titles. You never know… it may work for Rafa too.